Skye Gravestones | Mariella & Grace Borthwick. Fide et spe. 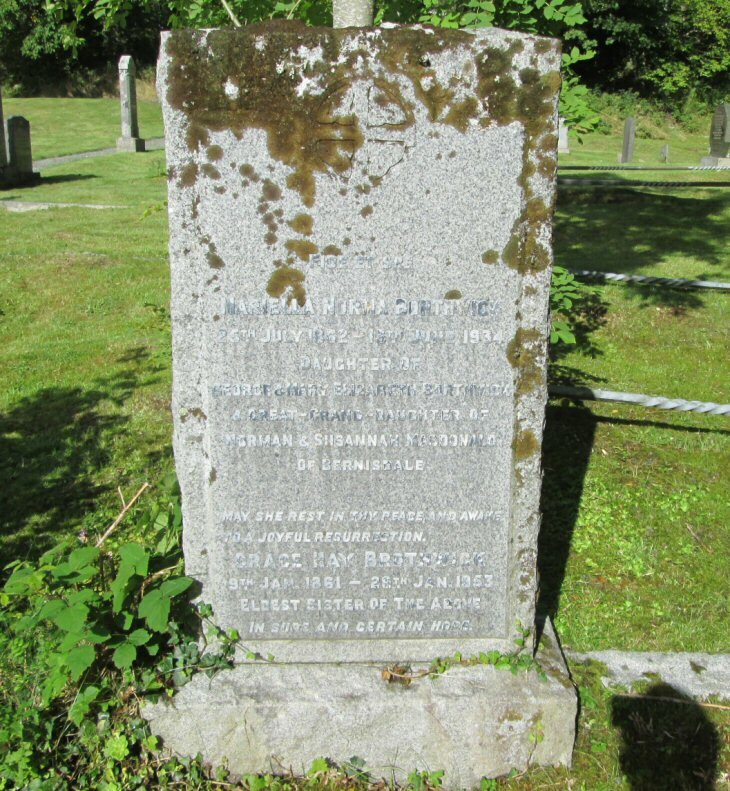 MARIELLA NORMA BORTHWICK/25th July - 13th June 1934/daughter of/GEORGE & MARY ELIZABETH BORTHWICK/& great-grand daughter of/NORMAN & SUSANNAH MACDONALD/of Bernisdale. May she rest in thy peace, and awake/to a joyful resurrection. GRACE HAY BORTHWICK/9yh Jan. 1861 - 29th Jan. 1953/edest sister of the above.